At one point or another, every crypto investor needs to get their hands on fiat money. Crypto asset transactions can be really difficult. Depending on amount and timeframe, it can be a very painful experience. Not to mention the often exorbitant fees and market volatility. CoinLoan is a truly groundbreaking project. Our platform uses a unique algorithm to offer maximum choice and flexibility for our clients - who are able to act as both a lender and borrower. Lenders deposit their fiat money using international/local bank transfers or bank cards and request loans on their own terms (repayment, interest rates etc). Lenders either manage the loans themselves, or they can let our algorithm manage the loan completely on autopilot - thereby avoiding the manual creation and continuous monitoring of loan requests. If the borrower fails to return the funds, the system will automatically liquidate (sell) the pledged crypto asset and return the funds to the lender (including the interest rate), thereby ensuring the absence of risk and a full repayment of funds. Borrowers can deposit cryptocurrency, and create a loan application for a maximum of 70% of current market value — to preserve the borrower's crypto assets and reduce the risks caused by the high volatility of the cryptocurrency market. Borrowed fiat money can be withdrawn quickly and conveniently, receiving their crypto assets back in full once loan conditions are repaid. Loans can be issued in many different currencies. Good team, vision and product. For such complicated idea, a lots of aspects are missing in WhitePaper. Few fiat currencies are listed, most are from stable markets, where micro loans are not applicable. We see a lot of new promising FIntech P2P lending companies all across the world, from my perspective this is a strong competition. Idea should work great for developing countries of Africa, Asia and Latin America. Bank/Loan sector is not well developed there and we see cryprocurrencies are finding their place in those countries, same will apply for such projects! "Product" as a concept is straight forward, but since there is no MVP I cannot justify scoring its quality. The rest of the idea and team are good. Update (29/1/18): I was contacted by CoinLoan requesting to see their MVP. It is a demo and is better than nothing in my opinion. Increased product to 4. Tip, please add the demo link on the page and website. Foremost, I think that loans backed by collateralized digital assets is a great application of blockchain and cryptocurrency technology. Unfortunately, it is also something that EthLend and Salt are already doing successfully. This puts the team at CoinLoan at a quite a disadvantage from a 'first mover' standpoint. 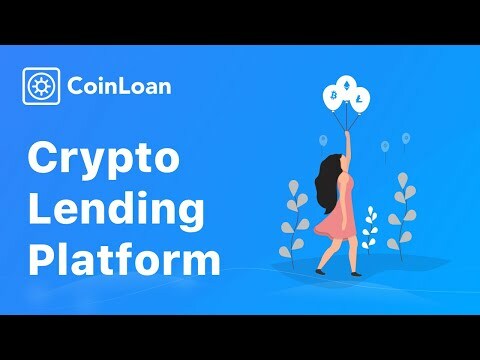 While EthLend is truly a decentralized process, CoinLoan aims to operate closer to Salt from a regulatory compliance standpoint; to that end, the question begging an answer is: what advantage does CoinLoan offer over Salt and EthLend? Well, CoinLoan aims to operate in more countries than Salt currently does, but in less than EthLend. According to the whitepaper, they do not have any licenses, yet, and the roadmap places this feature as a priority for Q2 2018. When trying to view the beta that was posted on Bitcointalk, I was presented with a landing page for the ICO -- I would have much rather been able to try an MVP or Alpha of the project. The team seems to almost entirely be comprised of owners or employees of a company called 'IT Security Group' formed in 2015. Their website, though, consists of nothing but a landing page with contact, the words blockchain, 1 page linking into it, and almost zero domain/page authority. The domain was registered in 2015, though, so that matches the stated date of formation. From a UX/UI standpoint, they seem on point for the targeted market, so I do appreciate that and their developers seem heavy on Node, Python, and GoLang, which is a strong arsenal to be pulling from; this should make them quite flexible. Estonia is also one of the most forward-thinking governments around for blockchain technologies, which should assure a comfortable and friendly environment for them to grow within. For me, though, the greatest turn off is on the financial front. The CLT token is primarily used to pay fees on the platform, similar to SALT. Right now, the price of the tokens range from $2 to $8 depending on the stage of the ICO and any unsold tokens will later be sold at a price which they promise will not dip below $10. As of the time of this writing, you can buy a SALT token through exchanges for less than $9 and then use it within their platform for the same purposes as CoinLoan, but at the value of $27.50. In short, I think the pricing of this token is entirely too high for where they are as a company/platform. If this was priced in the $0.50 to $1.0 range, I would find it a lot more interesting. The entire circulation of CLT, though, is 22M; this should help out from the financial end as small circulation coins have proven to be bearish and correction resistant. This is the most attractive aspect of the finances, for me. If this ICO had been created a year ago, I would most likely have given them a 4 for team, 5 for vision, and 4 for product, but with working alternatives already on the market and no MVP/Alpha/Beta to gauge the team/product, it's hard to raise the scores. It's not one that I will be investing in, but only because there seems to be better places to place your money in the short term. There's nothing to say that CoinLoan won't be the largest player in this space in a couple years, but it's quite an uphill battle given the financial/connection power of ShapeShift-connected SALT and freedom-of-regulation EthLend. [Update] Since I wrote this review, the team has released a barebones demo which can be viewed at demo.coinloan.io. I'll update as it progresses, but as of right now, the product score will stay at a 3 based on what I have seen. Generating the idea. Evaluating the market and development potential. Preparing for the ICO. Performing the Pre-sale. Making the ICO. Expanding the team. Developing the company's legal structure. Submitting the documents to obtain necessary licenses. Obtaining the payment licenses. Completion of developing the platform core. The official launch of the platform. Licensing and entering the Asian market.